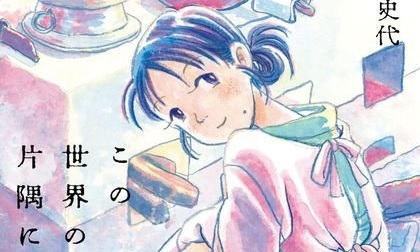 American Manga publisher Seven Seas Entertainment, otherwise known as GOManga on social media platforms, have recently announced that they have acquired the English distribution rights to Anti-Magic Academy: The 35th Test Platoon, Yokai Rental Shop and In This Corner of the World; the latter of which is based upon the animated film that will receive a UK release from Animatsu Entertainment. Anti-Magic Academy: The 35th Test Platoon: In order to battle witches who threaten to destroy their world, the Anti-Magic Academy trains special soldiers to be Inquisitors–but not every student is successful, as is evidenced by the ragtag 35th Test Platoon. Takeru Kusanagi, a soldier who relies on his sword rather than guns or magic, is captain of the struggling platoon. When the elite shooter Ouka Ohtori is demoted into the 35th Test Platoon for excessive violence, they’re all in for a rocky mission…and an explosive future. Yokai Rental Shop: When Hiiragi learns that he has a half-brother he’s never met, he decides to meet the man…but is shocked by what he discovers. Hiiragi’s newfound older brother is inexplicably covered in bandages from head to toe, and runs a mysterious pet shop that sells rare animals. Behind the counter of this strange place is an even more shocking secret: customers in-the-know can rent out yokai creatures to perform supernatural deeds, as long as they’re willing to forge a contract written in blood. In This Corner of the World: 1940s Hiroshima. Suzu, a young bride, leaves her home to join her new husband, a member of the Japanese navy, at a military base in the port city of Kure. Confronted with the challenges of a new life, Suzu must also come to grips with a world at war and her beautiful home collapsing around her. Unwilling to give up hope, Suzu holds on to happiness to persevere through the trials of war. All three titles will be released in the near future with In This Corner of the World and Anti-Magic Academy: The 35th Test Platoon being released as an Omnibus Edition Manga.